Publishing delays...Too much work ! I'm very busy at the moment getting yarns & fibre ready for the next trade show so i'm unable to work on the next giveaway just yet. Apart from that i have to finish writing up 2 patterns that my lovely customers have been patiently waiting for for a few months now ! The show we are processing Shetland yarns for is the Picton Fibre Fest in Prince Edward County Ontario, Canada. The date of the show is Saturday 27th May 2017. This is the 1st organised show & it should be a fun day with lots of other fibre booth's taking part. 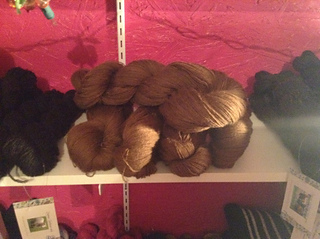 We will have all our usual assortment of Shetland wool yarns & Rovings along with pure qiviut yarns, raw musk ox fibre, Qiviut yarn blends & knitting patterns. And Shetland wool batting. Planning on having some ready knit Qiviut scarves too as there will be non-knitters in attendance. 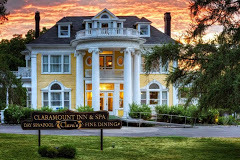 I will be staying at the Claramont inn for the weekend Really beautiful hotel Spa having a much needed break ! 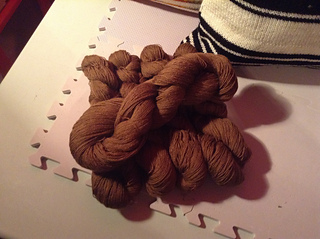 I finally got the yarns spun for the next shawl/pattern giveaway.....its beautiful & the colour reminds me of a ball of Vicuna i have in my stash ! A gorgeous lace weight yarn that should show the travelling eyelet lace pattern really well. Winters Journey scarf is complete & I'm writing up the pattern soon. 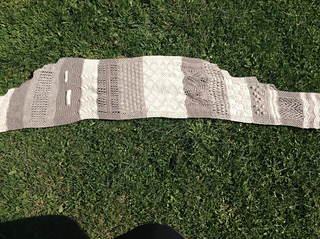 Winner of the yarns, Pattern & Shawl pin from last month was Anastasia with her entry : Winters Journey. Thank you Anastasia here at the cottage we all love the name.